This Ancient Temples of Takeo 2 day Cycle Tour is fully supported and fully guided (however you can choose not to have a support vehicle**). After leaving Phnom Penh you will have time to contemplate the barbaric Khmer Rouge regime as you visit the ‘Killing Fields’. 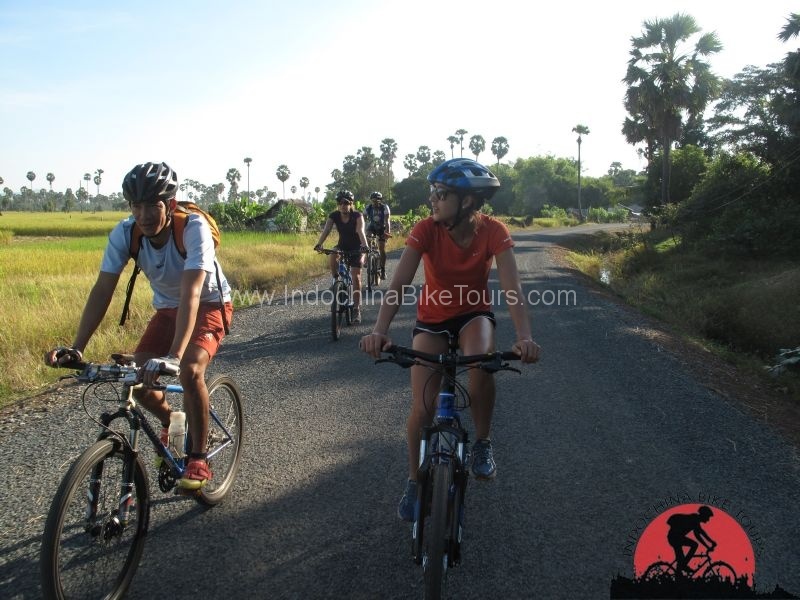 After this you will cycle to the picturesque Angkorian temples of Tonle Bati on the way south to the provincial town of Takeo. 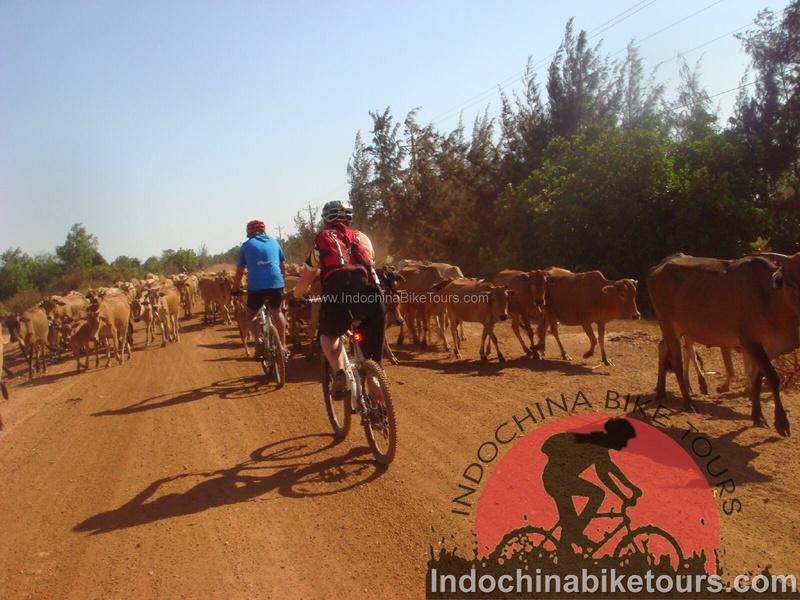 The following morning you will take an exciting boat trip to the ancient sites of Angkor Borei and Phnom Da before cycling to Phnom Chisor with its temple and spectacular views. A great introduction to ‘ordinary’ Cambodia and seldom visited ancient temples! 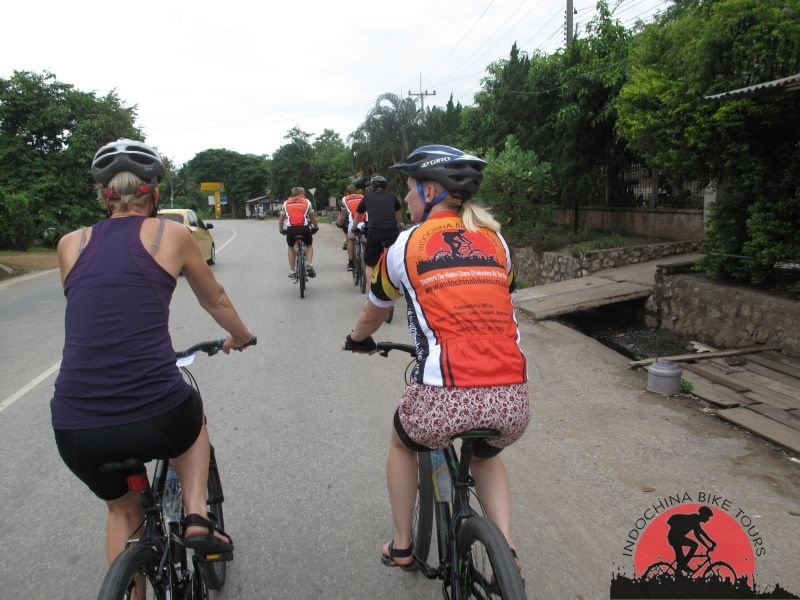 Your cycle guide and support vehicle will meet you at your hotel at 07:00 in your hotel in Phnom Penh City and your bike will be adjusted to ensure a comfortable fit. Once you are ready your cycle guide will lead you through the early morning hustle and bustle of Phnom Penh streets as you ride the 15km to Cheoung Ek, more commonly known as the ‘Killing Fields‘ (if you do not feel comfortable cycling in Phnom Penh you can ride in the support vehicle to the outskirts of the city). The ‘Killing Fields’ are where Toul Sleng prisoners were forcibly marched and then executed; it is now a memorial site located in a beautiful tranquil setting (a visit to the Toul Sleng Genocide Museum on the way to the ‘Killing Fields’ is an option). 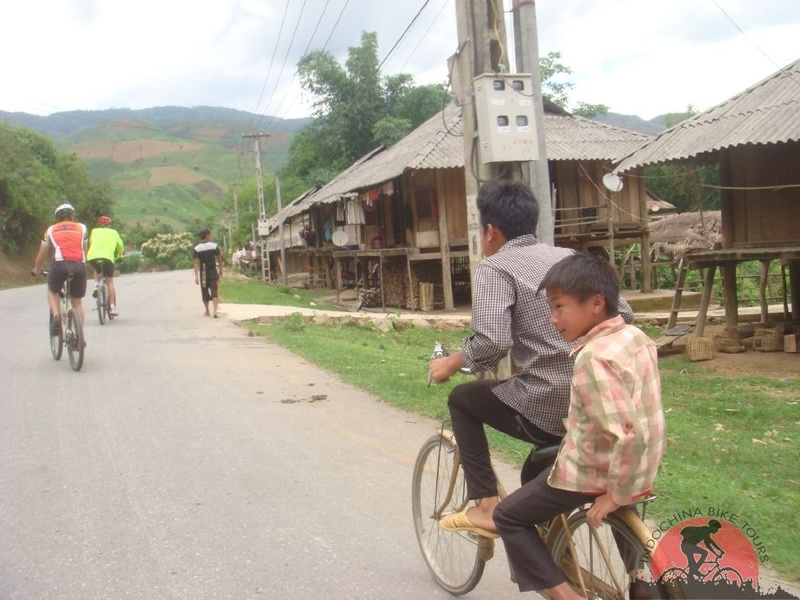 After some contemplation you continue pedalling south through small traditional villages. After a short combination of almost traffic free dirt roads and some lightly trafficked tarmac roads you will arrive at Tonle Bati, a riverside location where we will have time to explore the small, yet picturesque Angkorian temples of Ta Prohm and Yeay Peau. This is a very pleasant spot for enjoying your picnic lunch. It is thought that via a network of waterways Ta Prohm was an important trading port linking the Angkor temples of Siem Reap in the north to the southern Angkorian / Funan sea ports in what is now Vietnam. Fertility was, and still is, the temple’s main focus, and a statue of the Hindu fertility goddess Preah Noreay is still popular with childless women who come to offer gifts to her headless torso. After lunch you continue South towards sleepy Takeo. Upon arrival you will check-in to your guesthouse and then you will have time to explore this very small provincial capital made up of many local government department buildings. However, around the market area there are some old colonial villas in differing states, and the waterfront promenade makes for a pleasant late afternoon sunset stroll. This morning you take an exciting speed boat trip along ancient canals and through wetlands to Angkor Borei, a small relatively isolated town. However, during the pre-Angkorian, Funan period it was a major port. There have been many archaeological finds in the area and some of these are housed in the small local museum. 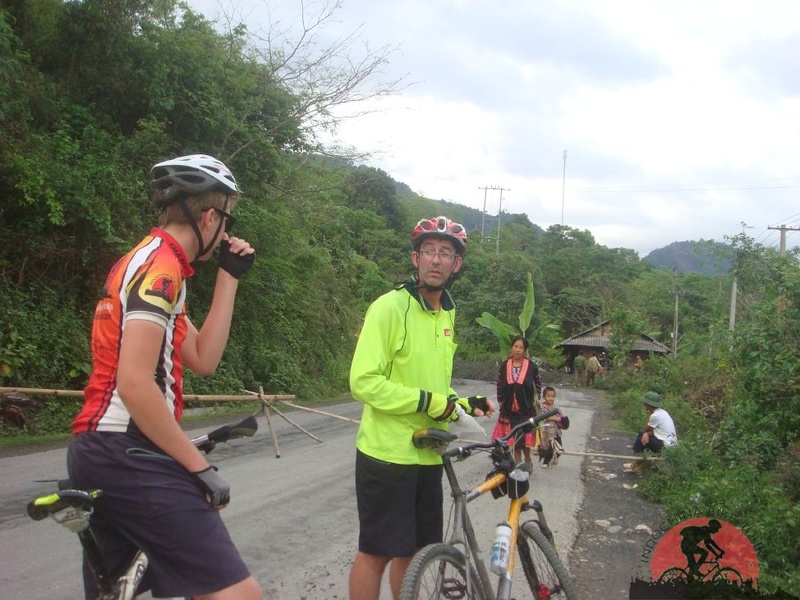 Then it is back in the boat for the 15 minute trip to Phnom Da – you will see the hilltop single laterite tower remains as you approach. As you explore further you will also find the small yet charming, and rare, 7th century remains of the Hindu temple of Ashram Maha Russei. 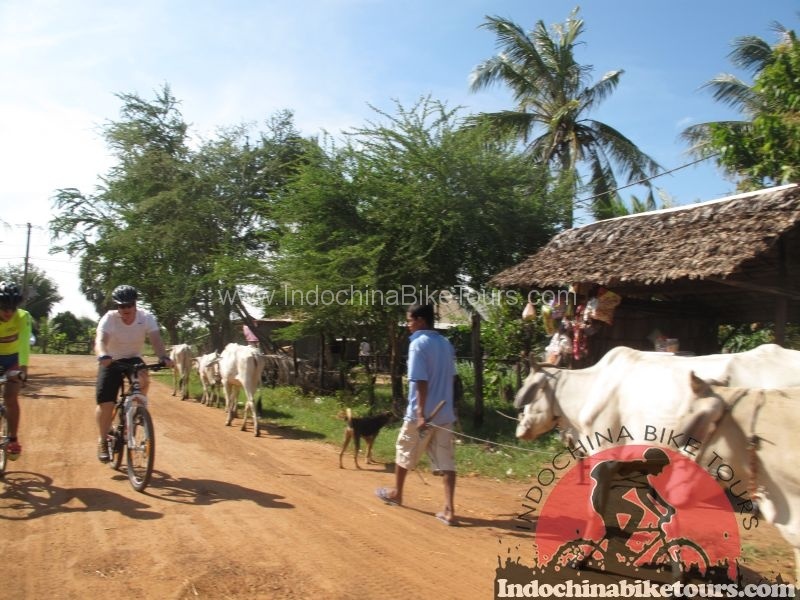 After arriving back in Takeo you will have lunch in a local restaurant then its back on the bikes as you cycle 30km north to Phnom Chisor. Phnom Chisor is a large hill and after climbing the 500+ steps you are rewarded by the sight of the nicely preserved 11th century temple ruins, as well as a fabulous panorama of the surrounding rice fields, including further temples off in the distance. After exploring Phnom Chisor, depending on the time and you legs(!) 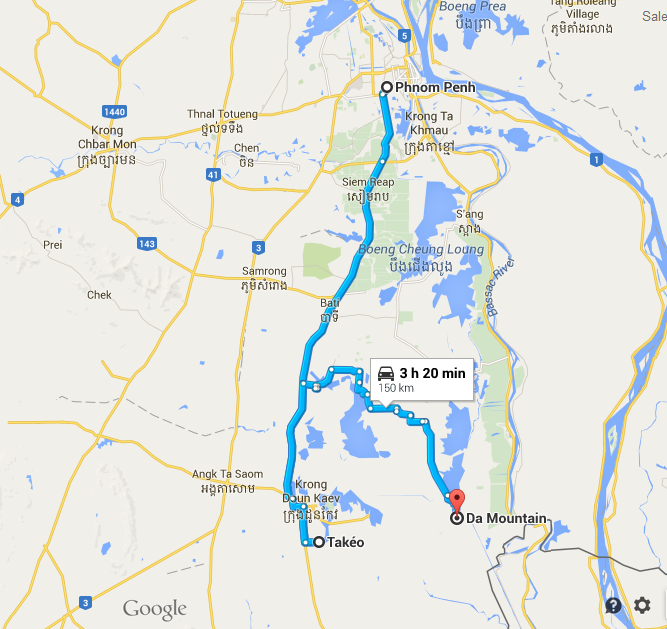 you can either cycle the last 60km to Phnom Penh, or ride in the support vehicle. 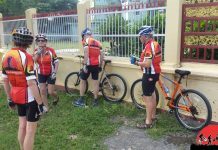 On arrival back in Phnom Penh you will be returned to your hotel having had a great couple of days cycling! End The Tour.